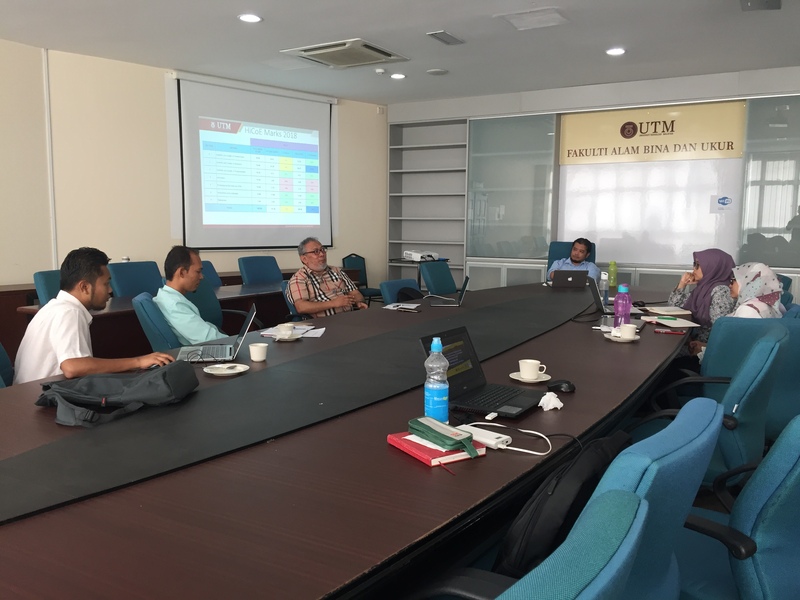 February 17, 2019, a strategic planning meeting was held at the Faculty of Build Environment and Surveying (FABU), Johor. UTM – Andes Consultants Pte Ltd (ANDES) signed a Memorandum of Understanding (MoU) on 29 July 2018, Chancellery Building, UTM. This collaboration aims to establish a collaborative between UTM and industry experts in the field of assessment of building conditions. Preliminary cooperation between the two parties will involve the assessment of building conditions in UTM using non-destructive techniques (such as infrared thermometer – IRT). 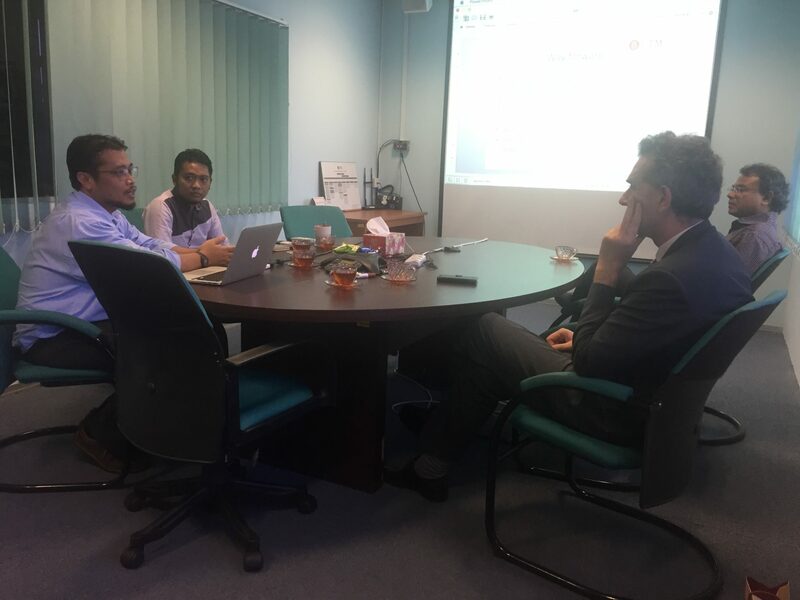 20 March 2018 – Geoscience and Digital Earth Centre (INSTeG) hosts Dr. Stefano Vignudelli of Consiglio Nazionale delle Ricerche (National Research Council) in Pisa, Italy, to discuss future collaboration and joint projects. 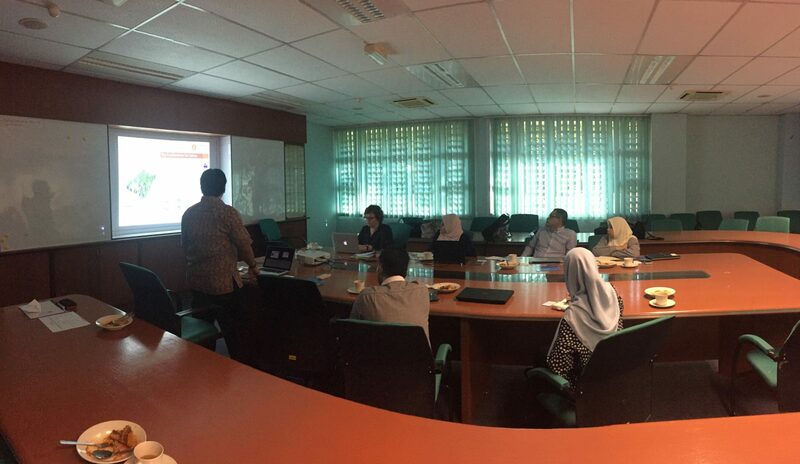 19 Nov 2017 – Geoscience and Digital Earth Centre (INSTeG) have a visit and meeting for future collaboration with Iskandar Regional Development Authority (IRDA). 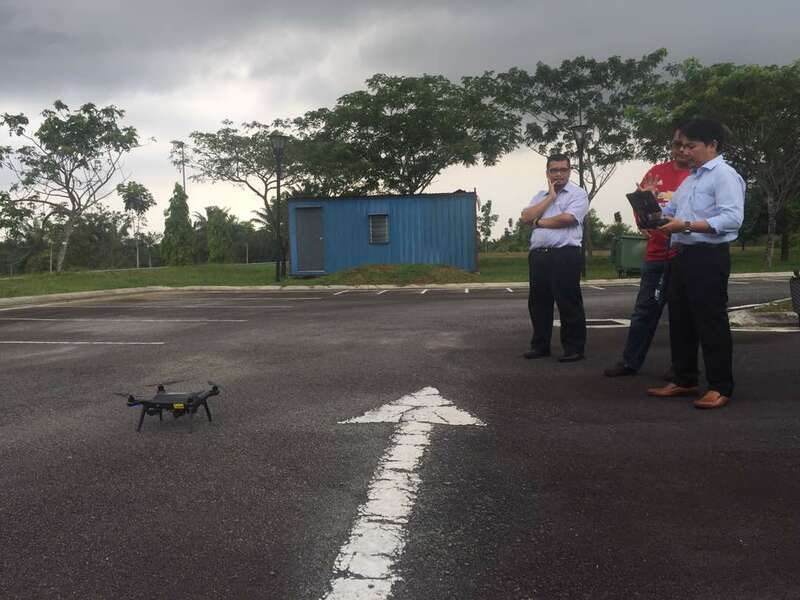 UAV demonstration was held in the parking lot a block T06 by Dr Nadzri and some staff. The data obtained, processed to be used as research material. We welcome all prospective postgrades to join & work with our committed research fellow. We are looking for post-doctoral scientist, visiting researchers, industrial practitioners, and internship students.